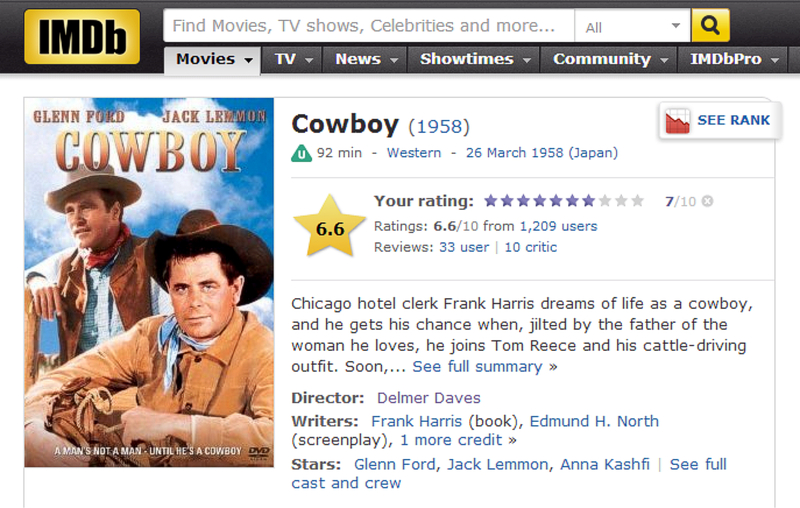 After Delmer Daves directed 3:10 to Yuma he made Cowboy. Glenn Ford and Jack Lemmon. popularity and respect, had yet to show his stunning depth and versatility. well established – and well deserved Ford. But frankly, some of these posters are real stinkers – and head scratchers. you would hardly know who was in the movie. Most of them got it right though. 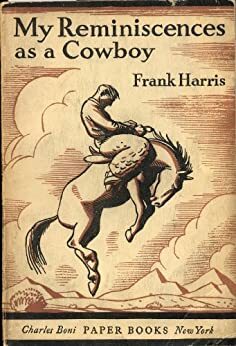 So, a bit of a different idea for a Western – based on a book by Frank Harris – a semi-autobiographical novel My Reminiscences as a Cowboy – written in 1930.
later being exposed as several scenes were taken from movies – or completely fabricated. But who cares ??! it ain’t history and makes for a good yarn. Lemmon’s character is based on Harris. Yee Haw ! Would this guy lie to ya? Reviews averaging about 7 out of 10. The fifties really were the golden years of the western, though I think there were some pretty good ones in other decades too. Westerns will never die. And there will be an occasional resurgence – maybe another Sergio Leone … in Japan or some place ?? Meanwhile we still have plenty of Classics to watch again. Thanks for your comment.